Based on 10 customer reviews. 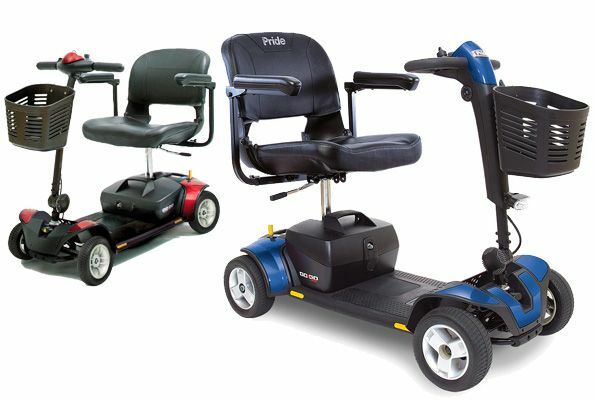 Mobility Scooter & Wheelchair Hire Cornwall is proud to be set up for the sole purpose of providing a professional and reliable equipment hire service in Cornwall. Rent a mobility scooter or rent a wheelchair to allow you more time to enjoy freedom and independence whilst enjoying your holiday. Rent a scooter or wheelchair in 3 easy steps! I endeavour to support individual mobility needs. 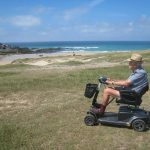 Whether you are enjoying a holiday in Cornwall and wish to hire a scooter or hire a wheelchair as a convenient mode of independent transportation, or as a temporary or long term solution to maintain independence during a period of recovery or rehabilitation. All equipment is cleaned and safety checked prior to handover. A demonstration of controls and safety features is part of the handover service, and you will receive a user manual and charging equipment (where applicable). Customers can relax knowing that public liability insurance is included with every hire, providing protection and peace of mind. 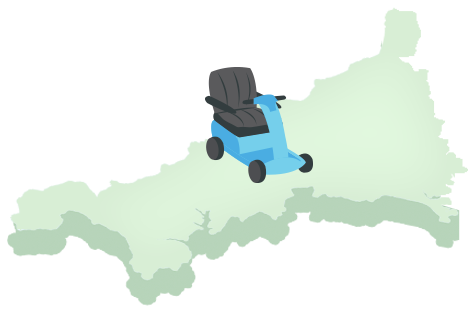 Mobility Scooter & Wheelchair Hire Cornwall offer a flexible service, delivering equipment at a destination and time convenient to you. Alternatively you are welcome to collect and return equipment - please see the opening times and delivery and collection options for further information. "Very many thanks to Karen and her Mobility Scooter Hire. She is so kind and helpful. It transformed our holiday at Treyarnon Bay." Whether you're looking for a light weight scooter to get around towns or a scooter to go off road adventuring, we've got you covered. Step 3: Confirm Booking and rest easy! We will contact you to confirm your booking, that's it! Conveniently based in a central location near to Truro in Cornwall, I am able to provide an efficient and personal rental service to clients, supplying a range of mobility scooters and wheelchairs throughout a large area of Cornwall. Cornwall is a popular, scenic and beautiful county, with a deluge of hidden treasures waiting to be discovered! Hire a mobility scooter, allowing freedom and independence to explore the beauty of this idyllic county! © Mobility Scooter & Wheelchair Hire Cornwall 2019. VAT Registration Number 280 3997 72	All Rights Reserved. I am open from Monday to Saturday - 9am to 5pm and also on Sunday from 10am - 4pm. During peak season (April to September) I am exceptionally busy! I am usually available to answer the telephone during the above core hours and available for delivery and collection services, however if your telephone call is not answered it is likely I am delivering or collecting equipment so please leave a message and I will call you back as soon as possible! Delivery and collection times usually fall between core opening hours, however, I can be flexible outside of these hours. For more information on delivery and collection options please see click the link below or call to discuss on 01209 313401.